One of the greatest challenges for a web designer is to create a layout for a website that makes the customers stay on the web page. With sites having high bounce rates, it is extremely difficult to maintain the good relationship with the customers. If your site is having customers, but no repeat users, it is time to get back to the basics of web design features and work out a strategy for customers to frequent visits your website more. It is as simple as that – you need to send the message loud and clear and immediately to every single customer the moment they land on your site. How much do you want them to know immediately and how much can you tell them later? That is your first decision. When you are struggling with bounce rates, you should check whether the website has the problem of scattered information. There is no perfect plan through which we can assure that a customer would land on the home page. Before you even think about re-designing your website, put your leg in the shoes of your customers and think what they really need to know and how can you deliver the information in a simple and straight way. Do not clutter your home page – plan functions and modules for your website and give the customer step-by-step information. The end goal of your website is to convert potential leads into business rather than sending them on another “Google” search. I remember 2008, every website needed to have a flash animation. It was an essential feature in designing the website. Flash animations are often a distraction and shift the customer focus away from the main message. If you want to help your customers, put a video – a video that can be controlled by the user rather than a flash animation that is going to be there. This is not 2008 anymore – time has changed and many more people are using browsers that either do not support flash animations or have them blocked. If you really want to use animation, use it to augment your message. Create a visually appealing message that helps to encourage the user experience. The message is loud and clear – anything that you do should be there to support the product and not create further disorder in the website. This is definitely the age of social media. A few major players in the market have transformed the internet completely. The power of social media is an aspect that you have to utilize effectively. The famous social networks can be counted on one hand – that does not change the fact, though they all are continuous facing competition and new operators are creating competition. Go social – create a social media presence and create a website that can be “followed”, “shared”, “liked”, “pinned” or “+1’ed”. While stock images are great – very clean and almost always a result of immense skill, not all of those images can match with your customers. Many companies have realized in the past that they have to create a “relevant” image with their clients in order to get their business. Get personalize wherever this is possible and try to connect with your customers in a more human way through the usage of personalized images of your company. No, you cannot ignore mobile optimization anymore. This is the age of smartphones that have massive computing power. People are on the move and it is impossible for all of them to drag their laptops with them all the time. The smartphones can be easily carried they can even be worn on your wrists in the form of smart watches. As a designer, you cannot be left behind in this race. You have to mull over mobile optimization if your site is not ready for mobile. A mobile friendly website gives the organization an immense opportunity to create a handsome profit as well help to increase ROI of the business. The smartphone users are going to be a major source of traffic in the future and they need to be catered properly. Recently, Google announces that they are start giving ranking advantages for the mobile friendly website. Web designers are supposed to be good with colors and schemes. A garbage or disorder of color makes the site worse. Always use the color and pattern as per ongoing demands. Simple color schemes will not be out of fashion, even if you think so. Even a web designer should make an appropriate color theme like the dark theme, light color theme or transparent theme to make the website more realistic. As a web designer, you must create a website that is easy to read and should attract visitors. The font theme and font size that you will choose will eventually play a vital role for your website. Readability is immensely important – you have only about 8 seconds to impress the user. If they are unable to read your content or see colors on your website, they will lose their patience and move on to probably your competitor’s website. 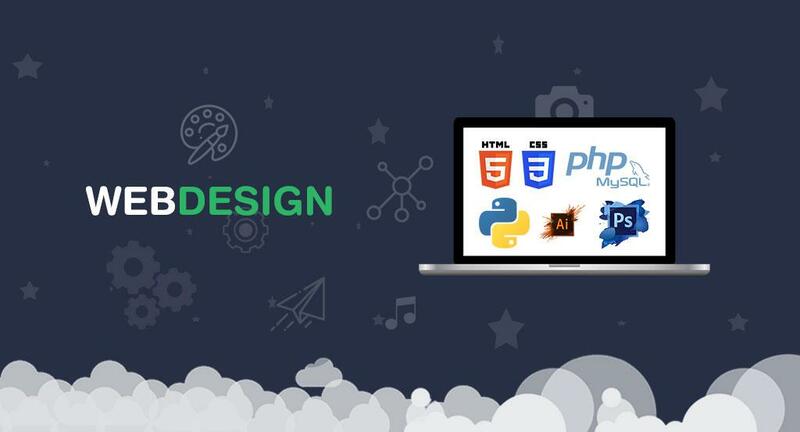 The concept of web design is infinite and it is acceptable that from time to time, the web designer has been updated with novel and attractive features. Keeping your site up to date with new technology can make your site alive and attractive that entices users to dive into your website. The above inevitable features also tell the story of current web design trends that could entice customers to stay on your website.